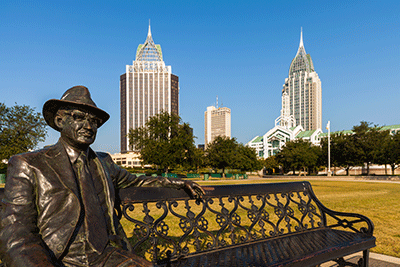 One of the oldest cities in the Gulf Coast region, Mobile has a colorful, international flair, with numerous historic districts, architecturally significant homes and buildings, beautiful gardens, trees, parks and outdoor spaces, fresh, local seafood, numerous waterways to explore and an ever-emerging, vibrant arts community. Across the Alabama Coast, our string of communities offer a myriad of Southern experiences - from the quaint charm of Fairhope and Olde Town Daphne, to the working seafood towns of Bayou La Batre and Bon Secour, to the small town feel of communities like Foley and Chickasaw. Life is good here and we love it all. You can see our love of the coast in our food, music, festivals, and attractions but especially in our people. We host festivals year-round, celebrating everything from live music to shrimp to the arts to flowers. If you're a military buff , then we have several historic sites and attractions that will take you from the Civil War to present day. If you like architecture, a walking and/or driving tour of our many historic districts, churches and homes is a must-do, if you're a foodie, try to eat your way along the bay. Are you are an art lover? there are dozens of galleries and museums that range from folk to modern art. Love the water? Then a kayak, airboat, sailboat, or charter fishing boat is waiting for you! And of course, we're America's original Mardi Gras! Need to smell the salty air and feel sand between your toes? Less than an hour away, we offer two similar yet distinct beach experiences. 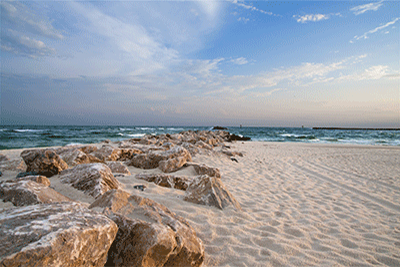 Due south is laidback Dauphin Island, nestled between the Gulf of Mexico and the Mississippi Sound. You'll find a slower, relaxing pace here with very few man-made distractions and a host of natural wonders. Dotted with individual beach homes, canal-side bungalows and Sound-side cottages, Dauphin Island is a tribute to when a beach vacation was about, well, the beach. Need a little more action with your beach excursion? Then head east and south to the twin meccas of Gulf Shores and Orange Beach. Along with the miles of white, sandy beaches, you'll find a menu of entertainment options that helps explain why more than seven million vacationers visit this area each year. All kinds of water sports, nature and historic excursions, shopping and art galleries, and family fun activities are offered from one end of "Pleasure Island" to the other. When the sun goes down, the beach lights up - with dining options from fast and casual to fine and fancy. Great live local music is offered at many small venues along the coast and there are great choices to dance and party to the wee hours. Regardless of how you choose to spend your Alabama Coasting time.... we're glad you're here. Mobile offers a little something for everyone with an appealing blend of historic and contemporary architecture provides the complement to the warm, welcoming Southern hospitality offered to all of our visitors. A picturesque collection of communities nestled along Mobile Bay is a cultured assortment of small towns where charm and southern tradition comingle with a sort of coastal-chic ambiance. Great shopping, dining and indoor/outdoor activities galore! Gulf Shores and Orange Beach have been an Alabama coastal playground for generations of visitors from all over the world, and continue to provide family-friendly fun in a small-town beach side setting. A short 45 minute jaunt from downtown Mobile or a quick ferry ride from the end of Fort Morgan Road in Gulf Shores brings you to Dauphin Island, off the western shore of Mobile Bay. Downtown Mobile is a pedestrian’s paradise. An easy stroll through downtown offers some of the best examples of the city’s classical and historic architecture: authentic French-Creole wrought iron, antebellum embellishments and buildings dating back to the 1800s. Mobile’s Midtown section is, as the name implies, the link between the historic city center and the neighborhoods and suburbs which grew west (away from the river) over the years. The Ashland Place neighborhood nurtures a delightful collection of boutiques, restaurants and shops. Terrific shopping, dining and cultural activities are found in Mobile’s Spring Hill neighborhood west of Midtown. The signature aspect of Mobile and the entire Alabama Coast region is the attachment to water. A great way to spend any day immersed in the more-recent history of Mobile is found by visiting the Causeway that links Mobile to the Eastern Shore/Baldwin County. Historic Spanish Fort, dating to the 18th century, is the northernmost entry to the Eastern Shore. It is a great place to spend afternoons shopping or delving into the colonial spirit that founded our country. 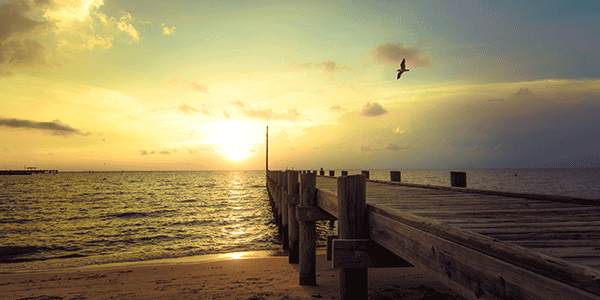 Spanish Fort’s neighbor to the south, Daphne, is the Eastern Shore’s “Jubilee City” of Daphne. 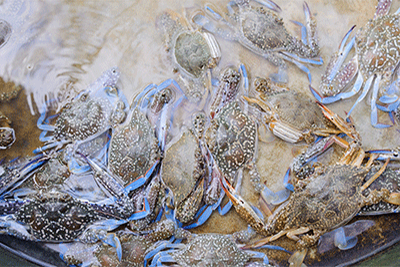 A jubilee is a rare local phenomenon where environmental factors draw shrimp, flounder, crab and other ingredients of coastal cuisine close to the shore where they can be easily plucked from the shallows. Fairhope, artist haven extraordinaire of the Eastern Shore, will be busy this season with events appealing to nature lovers as well as art lovers. Shopping and dining in this city is distinctly “home grown” but don’t let that simple description fool you. Unique shops offer fine antiques, original works of art, eclectic home furnishings and collectables. Gulf Shores and Orange Beach have been an Alabama coastal playground for generations of visitors from all over the world, and continue to provide family-friendly fun in a small-town beachside setting. Area attractions – beyond the beach - include the Alabama Gulf Coast Zoo. “the little zoo that could.” More than 300 animals can be visited at the Alabama Gulf Coast Zoo located just a couple of blocks off Highway 59 near the beach. Get up close and personal with lemurs, tiger cubs and more, through one-on-one animal encounters. Back to the beach, the 6,150-acre Gulf State Park boasts two miles of powder white beaches and 900-acre freshwater Lake Shelby. 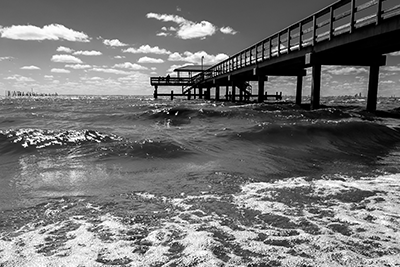 This recreational dream features a modern campground, cabins, cottages, backcountry trails and the largest fishing pier on the Gulf of Mexico. It’s completed by an interactive nature center, tennis courts, a beach pavilion and an 18-hole golf course. The star of the park – its beaches – are among the top 12 five-star vacation beaches in the country concerning water quality, according to the Natural Resources Defense Council. This means its beauty extends beyond its turquoise surface. The newly-opened Gulf Adventure Center complements the offerings at Gulf State Park with adrenaline-inducing ziplines and watersports. Soar over land, sand and sea at the Hummingbird Zipline course, which features breathtaking views along six ziplines, guided by an encouraging, experienced staff. This adventure will take you 90 feet into the air over a one-mile course. If you’d prefer to paddle, the center offers paddle boarding and kayaking ventures on Lake Shelby, perfect for getting up close and personal with nature, and a great workout to boot! Finally, spend time with a knowledgeable guide on an eco tour, exploring this living museum. splendidly situated by the Gulf. You’ll emerge with a better understanding of our ecosystem and your connection to the natural world. Of course seafood plays an unmistakable role in the personality of Gulf Shores and Orange Beach. Excellent, fresh seafood is always right and always ready when you dine in any of the innumerable locally-owned restaurants along this stretch of the Alabama Coast. Enjoy award-winning fresh seafood creations and special dining experiences at restaurants from one end of Pleasure Island to the other – at The Gulf, Fisher’s at Orange Beach Marina, the Flora Bama Yacht Club, Sassy Bass and the Restaurant at The Beach Club. This tiny hamlet on a barrier island a mere 14 miles long has much to offer in a relatively small space. Historic Fort Gaines, first visited by explorers in the early 16th century, is an excellent complement to Fort Morgan. Ever hear the expression, “Damn the torpedoes, full speed ahead?” You’ll learn the details of the Battle of Mobile Bay where they were famously proclaimed and much more with a visit here. Favored dining spots for locals and others include Islander’s, the Lighthouse Bakery and the Pirate’s Grill & Cabana at the Isle Dauphine Club. And – without a doubt- ground zero for live music and libations is Fins Bar on Bienville Boulevard. The Dauphin Island SeaLab and Estuarium is one of the few spots on the Alabama Coast where even the smallest visitors can safely and enjoyably get “up close and personal” with nature. The sea lab uses the natural resources, plants and animals found in our region as a means to educate visitors. As you move through the 10,000-square-foot Exhibit Hall, you will come nose-to-nose with fish found in these four significant regions: the Barrier Islands (which includes Dauphin Island), Mobile Bay, the Mobile Tensaw River Delta and the Northern Gulf of Mexico. Interactive exhibits such as the Billy Goat Hole Gallery and touch tanks make this visit even more memorable. After all, when was the last time you were able to pet a shark? Another “must” nature excursion is the Dauphin Island Audubon Bird Sanctuary, which hosts thousands of birds and birders annually pet a shark? Another “must” nature excursion is the Dauphin Island Audubon Bird Sanctuary, which hosts thousands of birds and birders annually. South Mobile County was one of the first settled parts of the region with Dauphin Island having been settled by the French in 1699 (who called it Massacre Island due to the large amount of human and animal bones discovered there). Across the Mississippi Sound from Dauphin Island, the small fishing villages of Coden and Bayou La Batre date from the 1720s and 1780s respectively. Both developed into popular resorts during the 1800s but were devastated by hurricanes in 1906,1916 and 1926. Today, though the resorts are forgotten, the area is still focused on fishing. Bayou La Batre is known as the Seafood Capital of Alabama and a day trip to dine at The Lighthouse, Von’s or Catalina should be a definite. By the way, it’s pronounced By’-La Bat-ree.